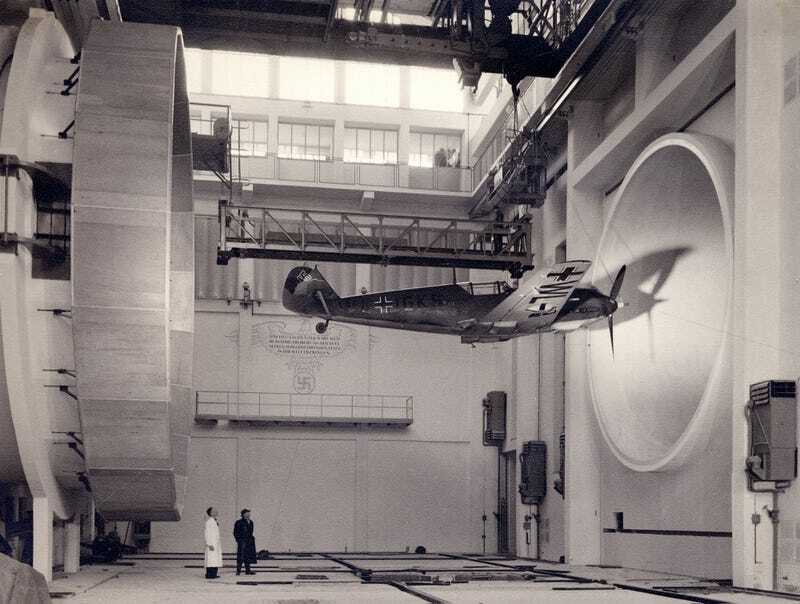 This photo of a Messerschmitt Bf 109 fighter being tested in a wind tunnel comes from the archives of the Deutsches Zentrum für Luft- und Raumfahrt, the national aeronautics and space research centre of Germany. It doesn't feel like a photo from 1940. This facility actually looks from the future. Most people associate wind tunnels with the last couple of decades of the 20th century, but the fact is that they go back to the 1920s.